This feels just like a web browser? 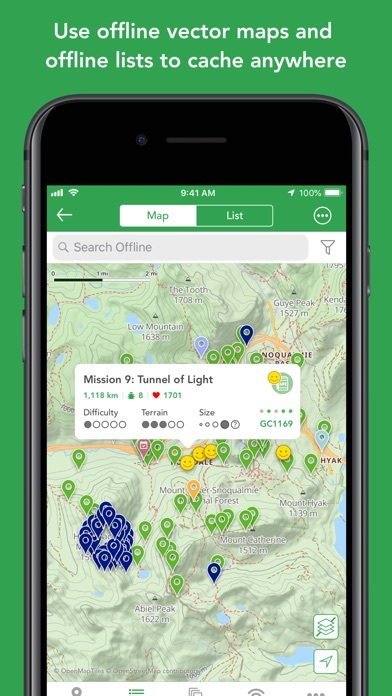 This app is a rip off it just redirects you to Geocaching, which is an app that charges you $5.99 a month to use. 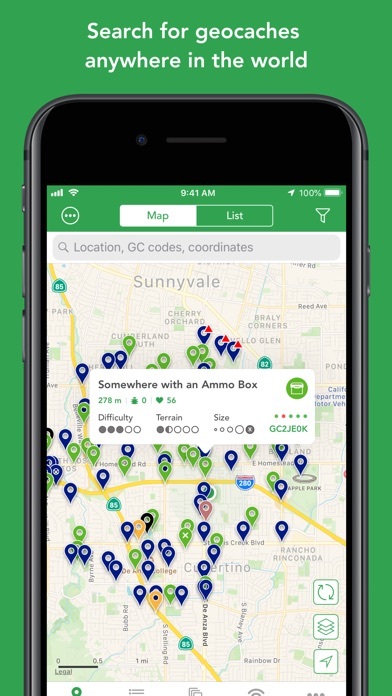 So you will end up paying $5 and then another $6 monthly to use the geocaching app. Scamming jerks. And all the fake reviews generated by whoever they pay is hilarious cuz it’s all B.S.!!!!! On load I get an error that I cannot get more than 3 non lite geocaches in a day. 1st time I have had it on in weeks and I didn’t do anything but open the app. Zero usability. 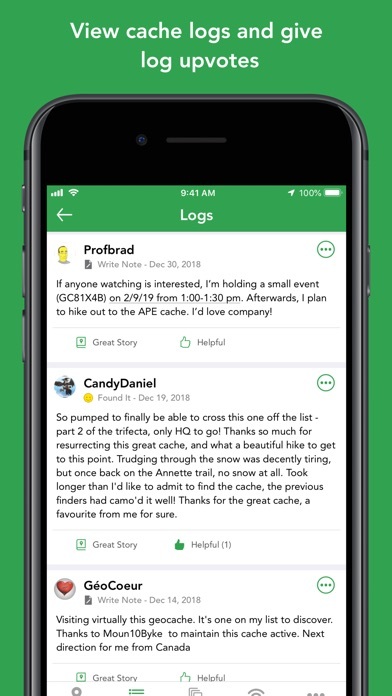 It’s clear that the developers for Cachly are cachers and listen to us. They seem to always be on top of new ways to make the app work better in the field. I have enjoyed every update. Except in a few circumstances, my GPS is just a heavy symbol around my neck. Cachly on my phone is the most used tool for me! $4.99 was a great deal and I even liked the ability to tip the developer for their great work. Keep it up!! After using the app for several years, my opinion remains the same. It is an excellent app, providing many advanced features. I am fortunate to travel abroad and the “translate” capability has been invaluable. 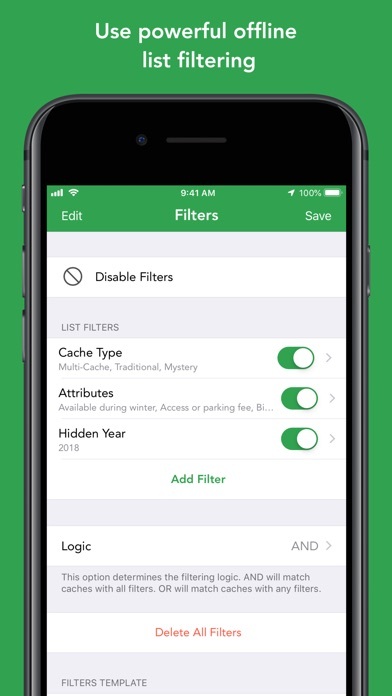 In addition, the developers continue to add features that polish the app and make it easier to use. Thanks .. Initial review: I've been using the Groundspeak app for many years but it's going away so it was time for a change. This app is so much better than their new offering that the replacement app choice was easy. While navigating to the first cache using Cachly, I found that it integrates seamlessly with my preferred nav app, Waze .. an unexpected bonus. This app has everything I want and more. 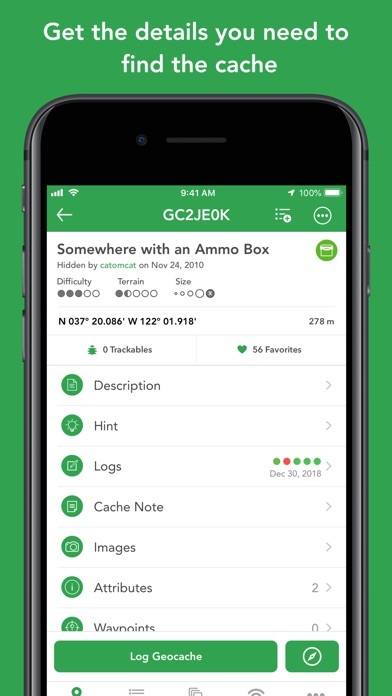 This is the iOS geocache app that just works. Great features. Love the map integration. Offline maps are amazing. No unnecessary animation. Great sorting tools. If you haven't tried offline in the app yet you're missing out. My favorite way to organize caches now. This is THE app to use if you’re on iOS.